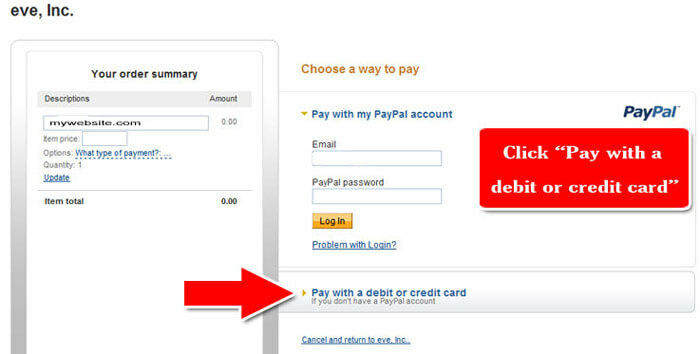 How to use the online Bill Payment Paypal Button - eve, Inc.
To pay your bill online, click this link. 1. Enter the full amount of your payment on the first input line at the top of the page. 2. Enter your name, website name, invoice number or any other information on the second line so that we can match your payment to your account. 4. Click Pay with a debit or credit card to pay with your credit/debit card. 5. 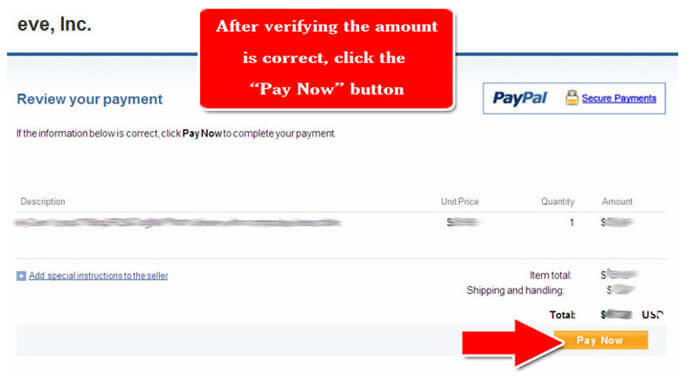 After verifying the amount is correct, click the “Pay Now” button.